This morning we were picked up at the quai by a van from the Gauguin Pearl Farm. What a wonderfully instructive day it was! 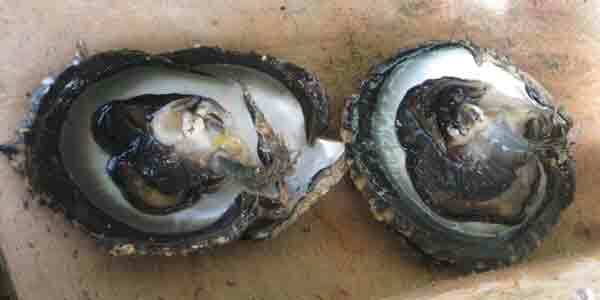 This is a photo of the opened Black Lipped Oyster, which is the source of the famous French Polynesian black pearls. The whitish parts are the pearl sacs. The young oysters are harvested from the sea and kept in pools for three years before they are old enough to culture. 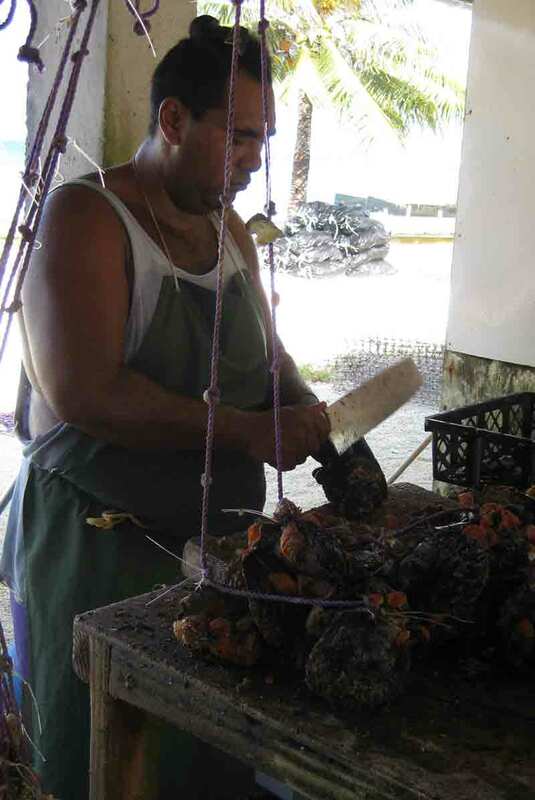 Then they cleaned on the outside and wedged open just enough for the grafters to insert a plastic bead and a tiny piece of the nacre of another oyster. This nacre grows around the bead for another two years before the pearl can be harvested. 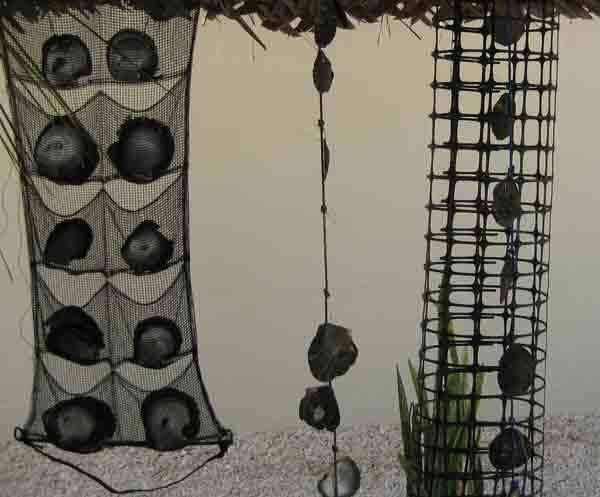 The pearl oysters are placed in protective mesh sacs during this period while they hang in the sea. Otherwise they would be eaten by the many crustacean- devouring creatures in the lagoon. 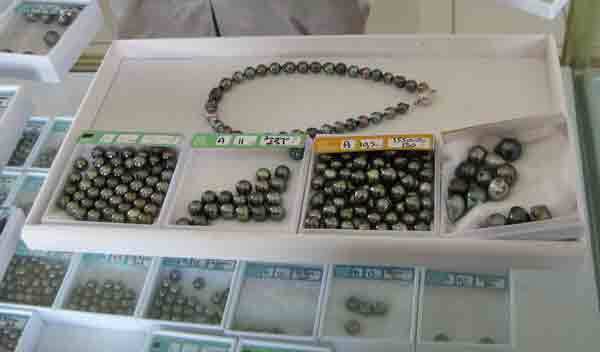 Then they are harvested, cleaned, the pearl extracted and another bead and piece of nacre inserted. Each oyster can produce three pearls in its lifetime. 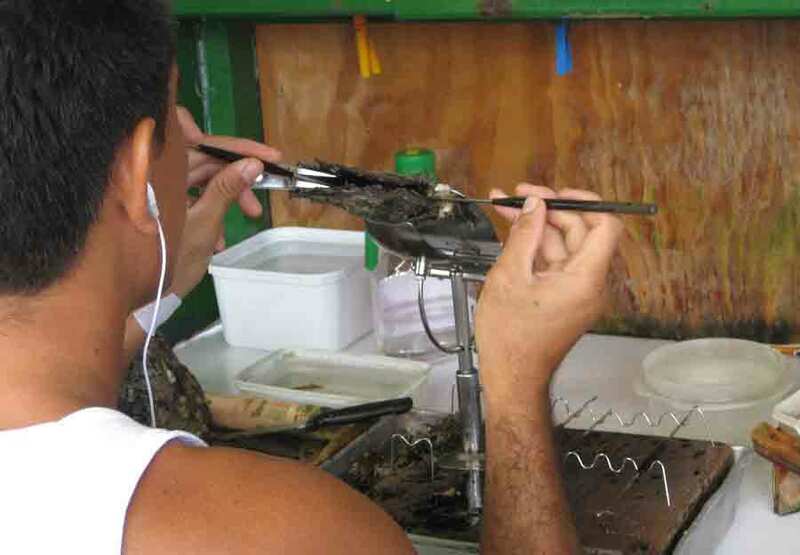 Only about 25% of the pearls cultured this way will produce a rounish pearl, suitable for jewellry. Round pearls receive an A rating, semi-round a B and Baroque pearls, which look like they have been carved are rated C or lower. Colour and lustre also add to the pearl's value. 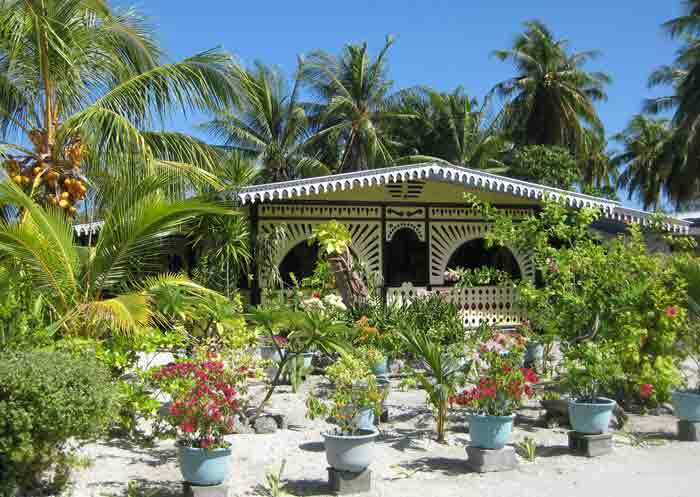 On the way back to the boat, we stopped at the little store for our daily bread and I snapped this photo of my favourite house in Rangiroa. In all of the French islands we have visited, the homes seem to be well built and maintained, the yards as large as parks and no litter anywhere!